Don'T Miss Your Chance To Live Here! Incentives! MLS#6522447. The Providence Group Realty, Llc..
Sugar Mill - Open Layout~ Kitchen/Brk/Vaulted Family ,Level Driveway & Useable Backyard~Room For Pool, Top Rated Schools~Northview, Resort Style Amenities, A Real Must See!! ! MLS#8544178. Realty Professionals. 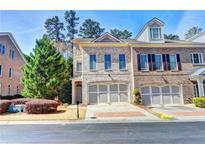 Abbotts Bridge Place - Gated Neighborhood With Great Amenities! Shopping And Restaurants Nearby! MLS#6518391. Georgian Home Realty Inc.. Walk To Greenway Trail In Minutes MLS#6517864. Russell Realty Brokers, Llc..
St Ives Country Club - The House Sits On A Large, Private Lot, And Presents Stunning Views Of The Yard. MLS#8541152. 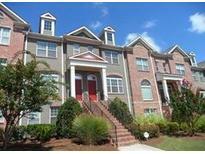 Homelister, Inc..
Park At Haynes Manor - This Complex Rarely Has Townhomes Available-Will Not Last Long. Security System And 2 Keypads. MLS#6515073. Dorsey Alston Realtors. Move-In Ready!! (Photos Of Previously Built Home.) MLS#6513216. The Providence Group Realty, Llc.. 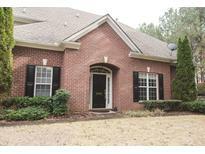 The Main Level Features Hardwoods, White Kitchen Cabinets W/Open View To Dining Area And Family Room! Ready To Move-In! ! MLS#6512393. The Providence Group Realty, Llc..
River Ridge - Entertain, Impress And Indulge. A Must See! MLS#6511046. Turnkey Realty. Stevens Creek - New Carpet, New Paint, Ready! Has A Beautiful Tree-Lined View. 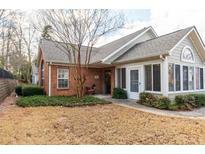 MLS#8532264. Palmerhouse Properties & Assoc. (Home Is Currently Under Construction, Photos Of Previously Built Home) MLS#6509675. The Providence Group Realty, Llc..
A Must See Home!Built In In The Dining Room MLS#6509815. The Providence Group Realty, Llc..
(Home Is Under Construction; Photos Of Previously Built Home). Ready April 2019! ! MLS#6509487. The Providence Group Realty, Llc..
(Home Is Currently Under Construction, Photos Of Previously Built Floorplan) MLS#6509631. The Providence Group Realty, Llc.. Photos Are Stock Photos Home Is Under Construction. MLS#6508379. The Providence Group Realty, Llc..
One Of The Largest Backyards In The Community. Tons Of Privacy! MLS#6508380. Method Real Estate Advisors. 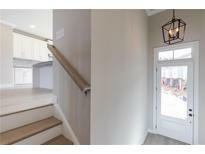 *Pics Represent A Previously Built Freemont* MLS#6507811. The Providence Group Realty, Llc.. The First Floor Hosts A Bonus/4Th Bedroom With A Full Bath W Access To An Outside Patio, Upstairs Owner'S Suite Features A Huge Walk-In Closet, Dual Vanities, Large Shower And Garden Tub.2 Additional Guest Bedrooms Upstairs W Shared Full Bath.This Home Is Beautiful!Move In Ready!Close To Schools,Shopping,& Restaurants.Use Pp Lender And Receive $5K In Cc.Won'T Last Long! A Must See Home! MLS#6506988. The Providence Group Realty, Llc.. Under Construction And Due To Be Completed In March.Close To Schools,Shopping,& Restaurants.Use Pp Lender And Receive $5K In Cc.Won'T Last Long!Come See Us! MLS#6507003. The Providence Group Realty, Llc..
Finley B - By The Providence Group.New Reduced Pricing!Open Floor Plan.Kitchen Is Open To The Dining And Family Room.Kitchen Cabinets Are Gray.Built Ins On Both Sides Of The Fireplace.Great For Entertaining!The First Floor Hosts A Bonus/4Th Bedroom With A Full Bath W Access To An Outside Patio,Upstairs Owner'S Suite Features A Huge Walk-In Closet, Dual Vanities, Large Shower And Garden Tub.2 Additional Guest Bedrooms Upstairs W Shared Full Bath.This Home Is An End Unit!Move In Ready!Close To Schools,Shopping,& Restaurants.Use Pp Lender And Receive $5K In Cc.Won'T Last Long MLS#6506809. The Providence Group Realty, Llc..
Brookhaven At Johns Creek - Community Amenities: Pool, Club House With Daily Activities, Fitness Center, Tennis, Garden, Walking Trail. MLS#6501905. Harry Norman Realtors. Great Neighborhood * Walk To Restaurants & Park. MLS#8518656. Keller Williams Chattahoochee.